If you happen to be in Barcelona this week, you’re just in time for one of the highlights of the city’s calendar – the Gracia festival. 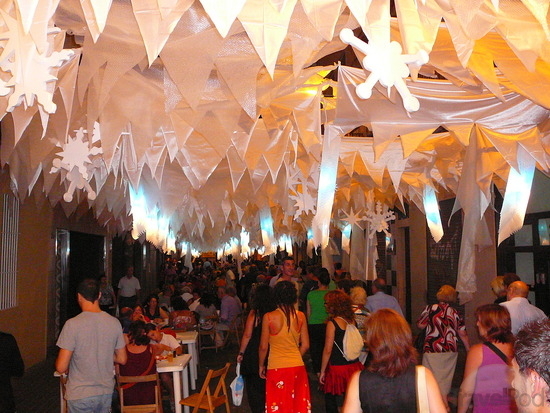 In a typically Spanish show of eccentricity, each street in the district competes for the titles of ‘best decorated’ – and competition is fierce. Take the metro to Fontana (L3, green line) and you’ll end up right in the middle of Gracia, the ideal position to start your tour. 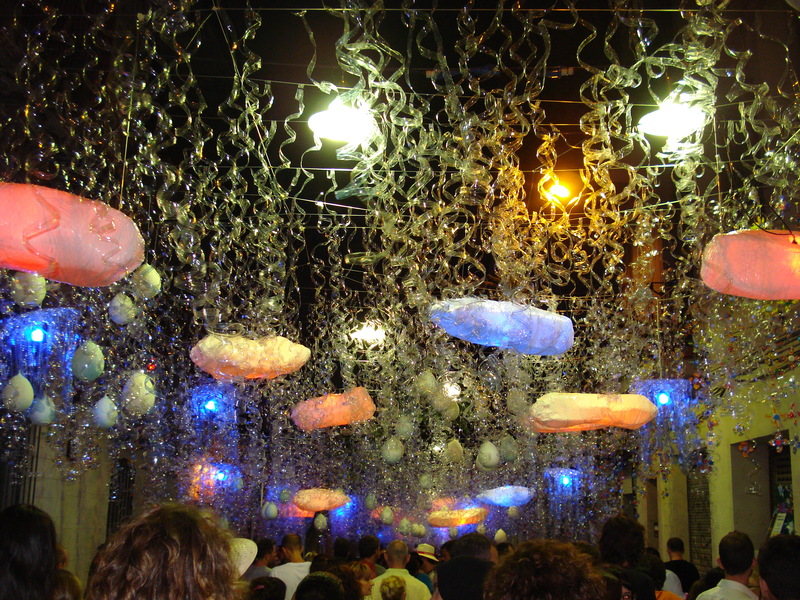 Expect the unexpected – the street decorations might vary from an under-the-sea theme to Ancient Rome! 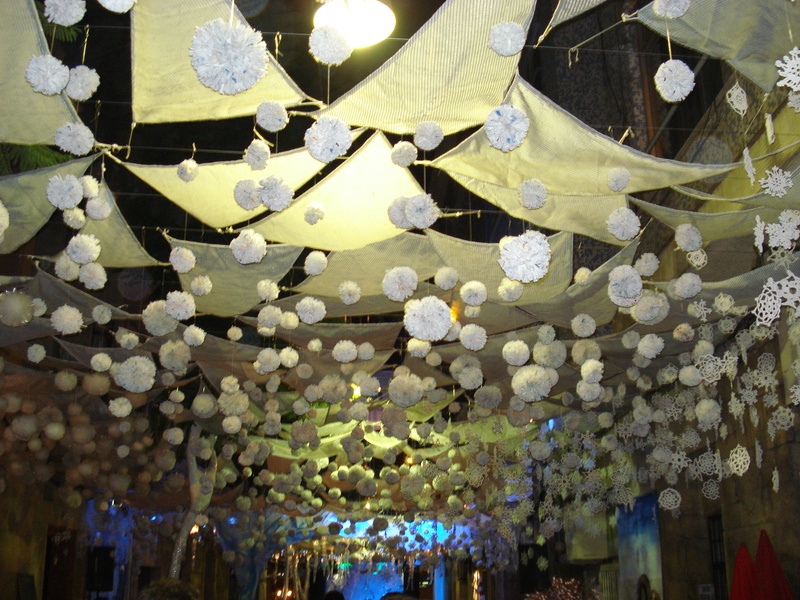 This is more than just a bit of bunting and fairy-lights too, the entire quarter is transformed into a surreal fantasy-world. Head to the Carrer de Joan Blanques and the Carrer de Verdi as these streets regularly win the prize. The wacky decorations go hand-in-hand with the fiesta atmosphere. Expect to see concerts of every type of music, dancing and food and drink stands lining the streets. You’ll get the chance to see some Catalan traditions too. The colles castelleres or ‘human towers’ of seven or eight people high are a regular and spectacular sight – particularly when they try to walk down the streets. If you’re feeling adventurous, make sure you don’t miss the correfoc which translates as the ‘fire-run’ and is as every bit as jaw-dropping as it sounds. Colles des diables (groups of devils) dance to drum-music while waving fire-spitting pitchforks. The Gracia festival runs until the 21st August and embodies the Spanish values of fiesta, fun and, above all, community spirit, so be sure not to miss out on the wackiest, most unique event in Barcelona! This entry was posted in Uncategorized and tagged barcelona, Catalan, concerts, decorations, festival, fiesta, Gracia, tradition. Bookmark the permalink.